Very nice post and we all should know that the bad prophecies in the Tanach do not have to take place, but the good MUST materialize. As written above, agree that's why I always say that every Jewish neshama has a portion in Olam Habah, as do the righteous of the world. 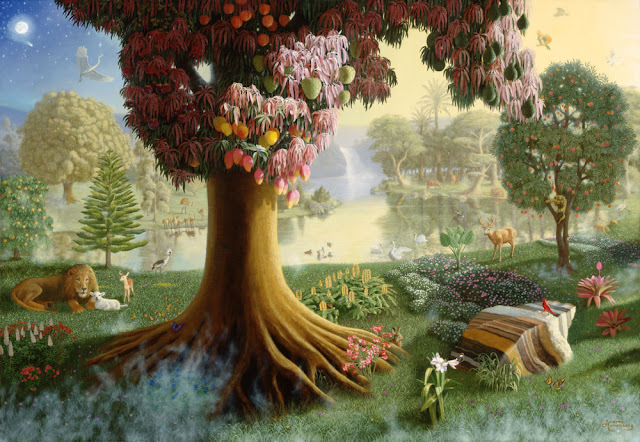 The above story of Adam in Gan Eden with eating of the forbidden fruit teaches us that H' is the Ultimate script writer and everything that happens is already known to Him and that HE controls everything. H' is Perfect! Beautiful! Thanks. Never heard this before. This is just such a great lesson! Reminding us that all things have purpose and that we are responsible for our own part in even that sin- no passing the blame!